Saw is one of the most used tools and it is an unavoidable part of every tradesman’s workshop whether he is a professional or just a casual hobbyist. Saw, while being a common tool, needs to be manufactured with precision and high regards to accurate engineering. 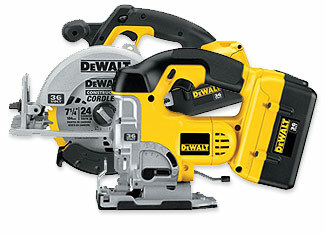 DeWalt delivers on both fronts and that’s why, DeWalt’s saws are generally considered to be reliable. A broken or damaged saw can become a pain as many projects involve its application. 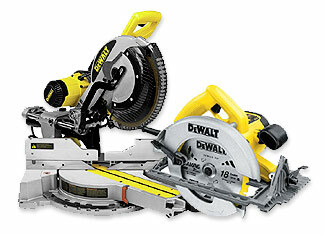 At toolpartsPro, we help you out in fixing your saw as you can buy DeWalt saw parts here at competitive prices. These are original DeWalt replacement parts manufactured by the company itself so there is nothing to question about their quality. At toolpartsPro, we offer spare parts of both electrical and cordless saws that include parts of DC315K, DC330K, DC390K, D24000 Type 1, D28710 B2 Type 1, D28770 and dozens of other models. Order your desired parts right here or give us a call at our toll free number 888 982 6540 for further questions and concerns.